Rob wrote: i really hope that after RSD day, there will be a double CD version of the Abbey cut, with 2nd CD of demos from the sessions (that were not included in The Otherness CD) or at least an extra track if single CD...that Divinity with Donovan singing....do i ask too much?.?.? Nothing concrete yet, but there may be an official CD issue at some point. Bonus disc is... less likely. But an Amorphous Archives album is still planned for release one day. That looks really really interesting! So Path 7,8,9 are the re-imagined and the rest is completely new stuff ? Now I have more questions than answers, looking at that tracklisting. Original EP is Part 1 - Part 5. New EP has Path 7 - Path 9. Are we missing Part 6 / Path 6? Though if it turns out we are not missing Part 6 / Path 6 then I would assume that the Dead Cities album cut is Path 6. Oooh, this looks very interesting! So this will definitely be available on fsoldigital at some point? Any news if it will get a CD release too? Oooh we were both so close with our speculations! 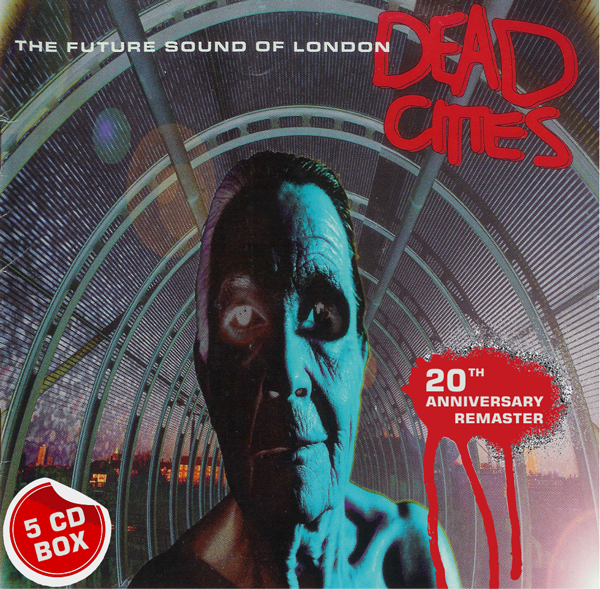 Or...could it be in the Dead Cities extra material...issued on 3xCD deluxe box.....or wake me up! The non 'path' tracks are new pieces rooted in My Kingdom, so just how different they'll be I dunno - maybe only loosely related like Everyone in the World is Doing Something Without Me, or like The Lovers was to Papua. As with A:E:V, an alternative version will be released on CD & digital later in the year. Path 6 does exist. My guess is it's on the CD version. But the '+' version on Dead Cities is an intriguing theory. All this is sounding very promising Ross! There are actually 3 other My Kingdom tracks aside from the 5 parts on the single. The Dead Cities version, the version on Teachings From The Electronic Brain (Best Of), and The Empty Land. Either of these could be the part 6. My hopes would be that part 6 is something different entirely! I agree this does look promising. I really like the album art on this. Very much like their 90s releases but looks quite dark. I hope the music follows suit. To be honest I would be quite dissapointed if it all just had an Amorphous Androgynous twist to it. I’m not a fan of that side of their work. Maybe one or two tracks would be fine, but I’m hoping this has a much more electronic/sampled feel to it like the original single. I do hope Dead Cities gets a reissue with bonus material too. I’m sure they have more stuff that’s never seen the light of day and I still hear tracks on their ISDN shows that were never released. I also wonder if this ‘re-imagined’ release is being put out there to test the waters for some possible new material/album. I forgot about the Teachings version, although I suppose that's just an edit of Part 1, really. There's also the live version, which I always felt would have made a better album version than the one they ended up choosing. If I had to make any guess on style, I'd say probably something like the recent Environments albums - a touch of the Amorphous psychedelic sound, but mostly moody and electronic. Part 5 in effect is just the radio edit of Part 1. Not sure why they did that. As on the Cascade single, the shortform was included on the end of the other 5 parts. The live version on the Netshow CD you mean? I like that version too with the extra samples and effects. So that's actually 4 other versions aside from the single. This all sounds pretty exciting, and lovely looking cover art too. The thing that surprises me about this is that although Gaz said in an interview a few years back that they'd redone the track Lifeforms again. I assumed that that never saw the light of day due to some sort of licensing black hole involving Virgin being arses. And now we see a re-imagined version of My Kingdom, which would surely fall into the same black hole of corporate idiocy. Either something has changed, such as their relationship with Virgin, or perhaps I was putting one and one together and getting seven. Is this an fsoldigital release, and/or some proof of concept for something more lavish?